An open edition print of the original oil painting "French Broad Rapids" by Jason Rafferty. This is an open edition print of the original oil painting "French Broad Rapids" by Jason Rafferty. "This piece was painted as a preparatory study for 'Torrents of the French Broad'. It depicts a view of the French Broad river near Asheville, NC at The Ledges Park. 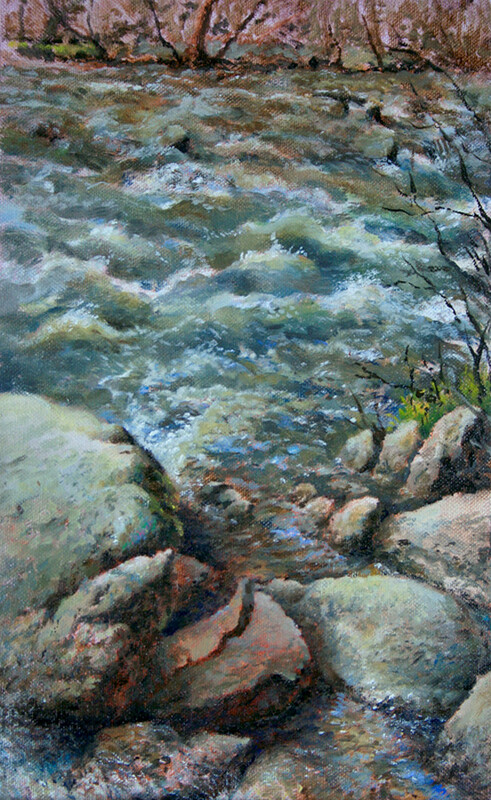 I enjoyed the challenge of painting the movement of the rapids and studying the continuity between them and the rocks that the water has sculpted."